We reached Wayanad pretty late in the evening, so our priority was to find a place to stay. We stayed at Ente Veedu, a homestay in Wayanad district that came highly recommended by some people we met at Kannur. Set midst coffee and pepper plantation, it turned out to be the perfect place to stay. We got decent accommodation in a bamboo cottage-style shack right in the midst of the plantation, at less than INR 3,000 per day. The all-inclusive package incorporated authentic south-Indian breakfast, lunch and dinner, along with coffee, juice and coconut water. The beds were comfortable and the linen smelt fresh. The bathroom was clean too, but there were a few creepy crawlies in there, especially during the night. (Over the years I have learnt that creepy crawlies cannot be avoided especially if you choose to stay at remote locations). A tour of the estate was also included in the price. We thought it to be a pretty fair bargain. The bamboo cottage was neat, but the only hitch was the absence of English television shows. We could watch only local channels. The internet connectivity was poor too and there was no Wi-Fi; I used my own data card, which worked fine. This place was of course away from the main towns of Kalpetta, Mananthavady and Sulthan Bathery where perhaps more luxurious places to stay can be found. Also Read A day at the Wayanad Wildlife Sanctuary and check out the budget resorts in Wayanad. We stayed the first night in the bamboo cottage assigned to us, but asked to be shifted into a brick and mortar, tiled roof unit the following morning. I wasn't comfortable staying in a 'flimsy' house, in the middle of nowhere; especially since this was also elephant territory. The rooms of the 'pucca' house were spacious and clean as well and I felt a tad bit more secure than I did in the bamboo house. The owner though insisted my fears were unfounded and the place was safe! This place to my surprise had Wi-Fi, but the English channels remained elusive! After a scrumptious breakfast of "kozhukkatta" (a jaggery and coconut filled dumpling) and the popular Dosa and Idli served with generous helpings of Sambar and a variety of chutneys, accompanied with steaming hot coffee, we proceeded to the plantation area, for a guided tour. I expected the tour to be uninteresting, but it turned out to be quite the opposite. We came back educated; with lessons learned in not just how to pick tea leaves, but a lot more. 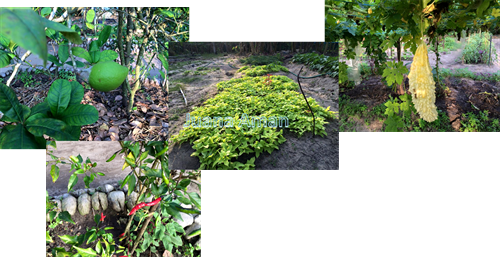 The plantation area was spread over a few acres and was divided into sections, with banana and jackfruit trees and pepper vines growing. There was a vegetable patch where organic farming was being done. 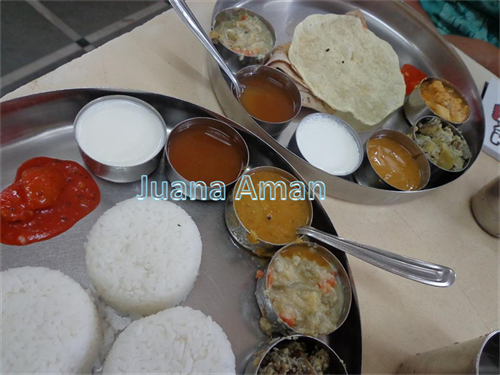 In fact, the food cooked for us was prepared using fresh produce from the farm. We spent close to 3 hours walking around the plantation, in absolute awe of nature. It was the most amazing 3 hours! 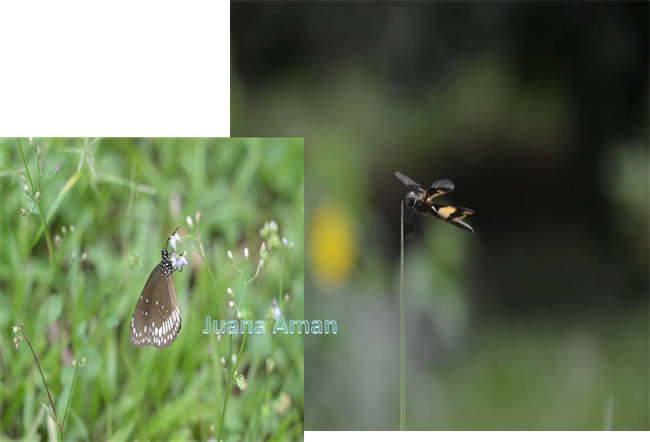 Beautiful butterflies flitted everywhere, spiders spun webs wherever they found space, colourful dragonflies hovered around us and farmhands remained busy with their daily chores. All this created a striking visual melange, with the sun filtering though the canopy of trees and the hill air with a tad bit of bite in it, soothing the skin. There never was a dull moment on the plantation; with some activity always in progress. The morning hours we were told were reserved for tapping rubber. We found metal buckets tied onto tree trunks to collect latex that oozed out. The latex we were told is shifted to a factory where it's graded and rolled into sheets. The top grade rubber gets sold to tyre manufacturing units, while the balance is used in other rubber industries. It was fascinating watching farmhands scrambling up areca nut trees without a safety harness. They put a circus like performance for us, using palm fronds to swing from one tree to another (Tarzan style), rather than come down and climb up a new tree each time. 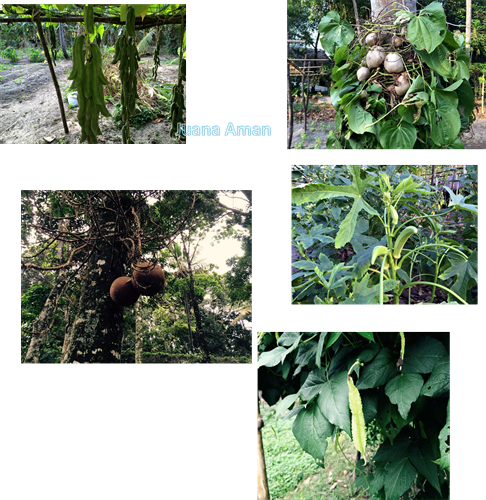 Apart from tea and banana there were tapioca, coconut, ginger and many other fruit yielding trees and plants spread all over the property. 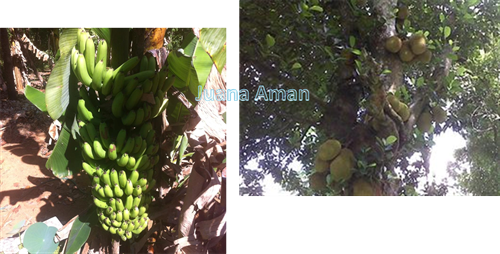 Amazingly, most homestays on plantations in Wayanad offered similar packages. 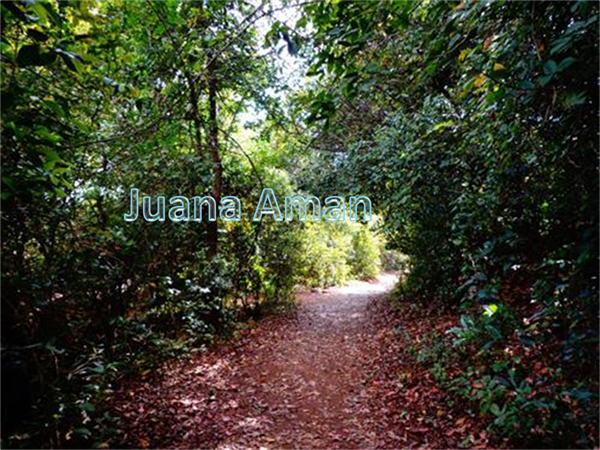 Wayanad is located in the midst of a forest and the Wayanad Wildlife Sanctuary lies within this forest. A chat with the owner of our homestay and we learnt that the sanctuary is the second largest in the state and boasts of two ecotourism centres – Tholpetty and Muthanga. And an excursion to the sanctuary came highly recommended, which we went on the following day. To be honest we weren't disappointed, it was a great experience. We sighted wild life in the woods– elephants, bison and deer, not to forget various species of simians and other creatures. There were some rare birds that we spotted and a set of fresh paw marks in the mud had our adrenaline rushing. It's a pity our vacation was coming to an end, if we had time on our hands we'd have liked to extend our stay in Wayanad by a few more days. Maybe, another time. Our trip to this beautiful part of Kerala was wonderful right from the word go. Whether it was the drive between Kannur & Wayanad or our stay at the plantation or the visit to the sanctuary. There is so much beauty packed in here that you'll never want to leave. Look out for more on the actual Wildlife Sanctuary experience in my next post. Recently, Kerala Tourism has started a Village Life Experience Program in Wayanad, which provides input on the life of Tribals and locals in Wayanad. We are planning to visit Wayanad next month. While looking for popular tourist destinations and safe homestays in Wayanad, I came across your experience. You have narrated your experience in an amazing manner. I am glad to know you enjoyed the stay in the homestay facility. But you missed to give any details of the home stay were you stayed. Based on your recommendation, I would like to book my room in the same place. Can you please share the name and address of the homestay?